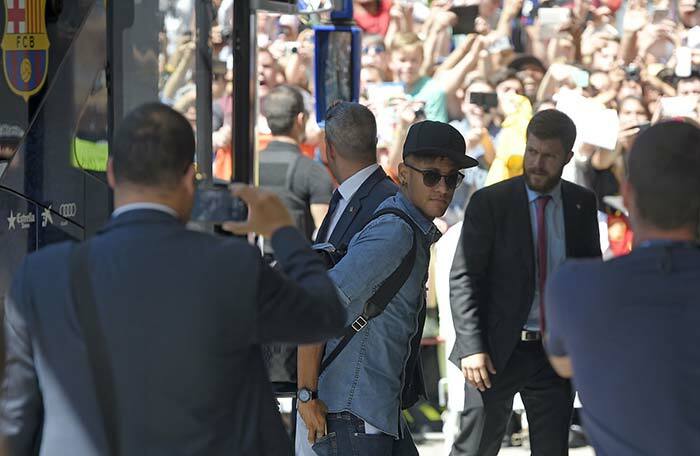 Juventus and Barcelona arrived in Berlin ahead of Saturday's Champions League final with both teams bidding to cap remarkable seasons by being crowned champions of Europe. 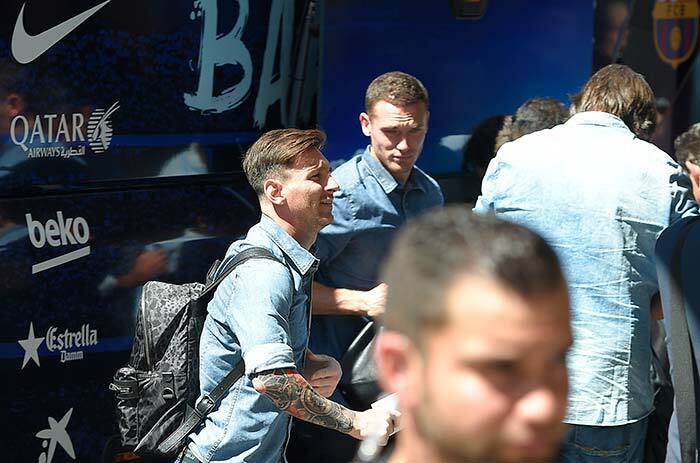 Lionel Messi, who has been in superb form for Barcelona checks into the team hotel in Berlin on Friday. Fans cheer as the Barcelona team bus pulls up at the team hotel in Berlin. Carlos Tevez, who has been in spectacular form for Juventus this season, arrives in Berlin for the Champions League final. Giorgio Chiellini, who has been ruled out of the final for Juventus, walks in to the team hotel on Friday. Juventus defender Leonardo Bonucci arrives at the Regent Hotel in Berlin on Friday.